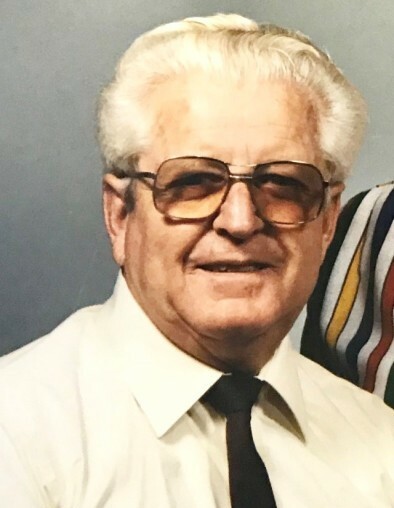 Guy August Perkins, a resident of Baton Rouge for 59 years, departed peacefully on Wednesday, October 31, 2018 at the age of 90. Guy will be greatly missed by his loving family and friends. Second to his family were his fishing buddies from the False River Cookie Jar Tournaments (and you all know who you are). After serving in the U.S. Navy during World War II, Guy was a successful business owner for 50 years. He is survived by his wife of 68 years, Juliette Faucheaux Perkins, his son Joseph Perkins Wheat and son-in-law Robert Lamont Wheat of Hollywood California, son Mark Perkins and wife Rachel of Denham Springs Louisiana, grandchildren Brian Elrod and wife Monica, Kyle Perkins, Claire Perkins, Randy Russell, and Cassie Russell, and great-grandchildren, Austin Elrod, Chasity Bergeron, Hunter Russell, and Destiny Evans. He was preceded in death by his daughter Sheila Ann Perkins, his parents Guy August Perkins and Carroll Lanaux Perkins, brother Joseph Perkins, and sisters Grace Thiaville and Joyce Muller. Visitation will be Friday, November 9, 2018, at Resthaven Funeral Home from 9:00 a.m. until services at 11:00 a.m. The family wishes to extend our sincere thanks to all who have called and sent their thoughts and compassion. We would like to thank the providers at Ochsner Medical and Crossing at Clarity Hospice for guiding us through his final moments. Guy lives on within the hearts and memories of all who knew him. We were blessed by his charm, quick wit, and ability to laugh at himself. In lieu of flowers, the family requests donations be made to St. Jude Children’s Hospital. Family and friends may sign the guestbook or leave a personal note to the family at www.resthavenbatonrouge.com.